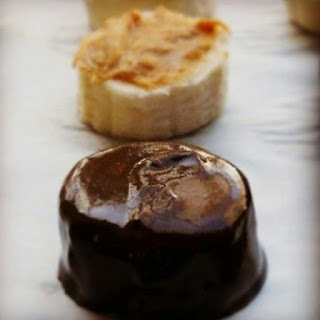 Fit Fluential Mom: Pears, Bananas, Peanut Butter & Chocolate Oh My!! Pears, Bananas, Peanut Butter & Chocolate Oh My!! You must try these sweet, clean, healthy treats next time you want dessert! Perfect to take care of your cravings too! Enjoy them with the kids as an afternoon snack or as an after dinner sweet treat! Chocolate Dipped PB Bananas! Slice 'em, spread some PB on 'em & dip 'em in every girl's favorite.....Chocolate! 21 Day Fix friendly too!! 1 purple & 1 orange. The orange is the chocolate and it's OK to have 1-2x a week! So enjoy it! 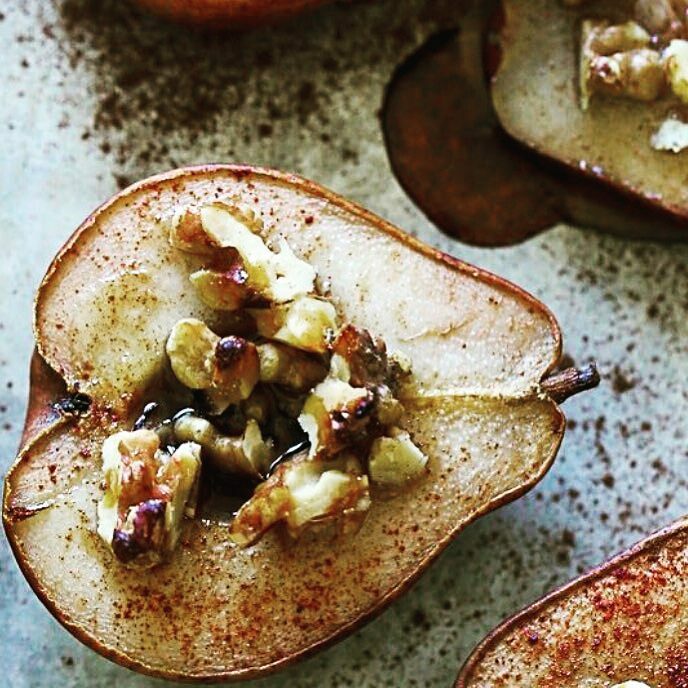 Drizzle half a pear with honey, cinnamon and top with walnuts. Bake at 350 temp for 30 minutes. You can pair it with plain (or vanilla) Greek or frozen yogurt! 21 Day Fix Friendly! 2 purples (honey & pair) and 1 blue (walnuts). Add 1 red if you have Greek yogurt. Clean Chocolate Trufflfes? Yes please! Become a Runner in 8 Weeks!